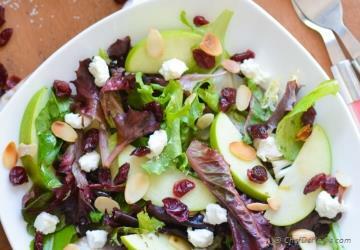 Another week of fall inspired Menu Plan!? Yes, please! This week's menu is yet another Fall inspired meal's menu. 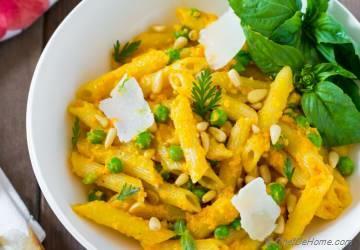 I could not sum-up my love for fall produce - pumpkin, butternut and everything in-between in one weekly dinner menu... 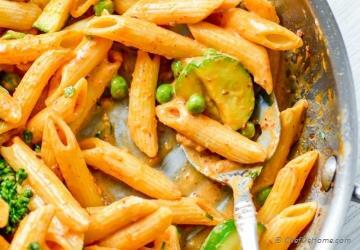 So I'm here again with few more delicious recipes. 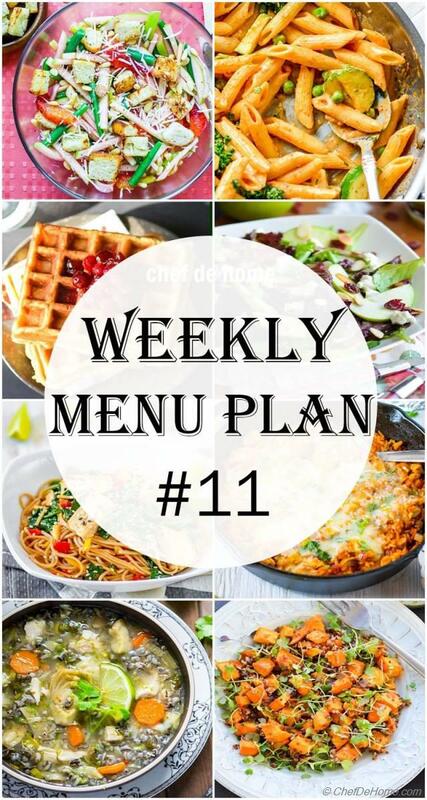 This week's menu plan has 12 recipes. I have tried to include equal number of vegetarian and meat/chicken recipes. Like I always suggest, these recipes can make 4-6 variations of week meal prep. Choose as per your preference. To use this menu, make stews/soups/sauces ahead. Freeze or refrigerate. Sides can be prepared ahead too. For weekday dinner, just thaw, heat, serve! 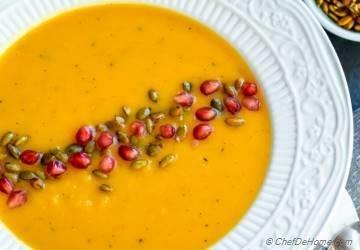 Tuesday - One of my favorite Butternut Squash soup ever! 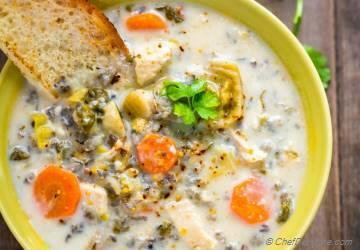 Wednesday: The most busy day of week let slow cooker work for you with this complete meal - chicken and wild rice soup! 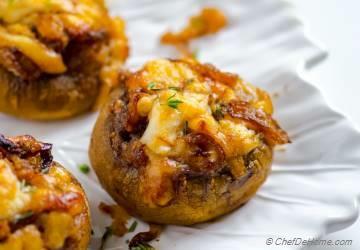 Side: Serve French Onion Stuffed Mushrooms on side with any soup. Can be made ahead and frozen. 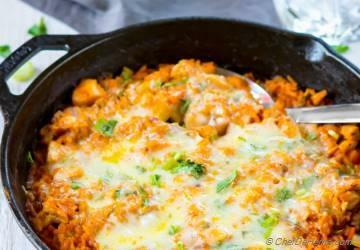 Yes for One-Pot Buffalo Chicken and Rice Casserole for Thursday! You will LOVE the flavors. 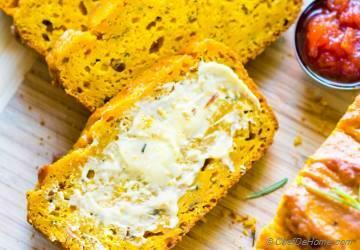 This Pumpkin Quick Bread serves two purpose: fall inspired Breakfast or easy bread to dunk in soups! 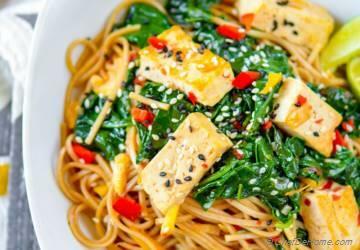 Friday: I prefer Friday meal as quick as this Soba Noodles, tofu and spinach bowl. 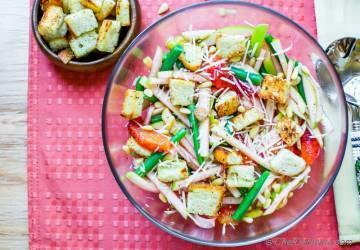 Healthy and loaded with flavors. Saturday: We are not following any rule this week. 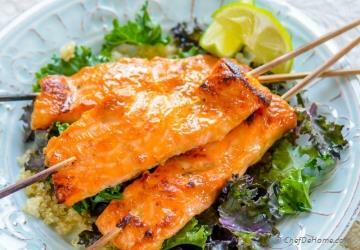 So this Miso Ginger Salmon with Kale and Quinoa sound perfect for Saturday dinner. 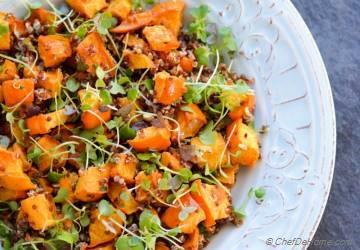 You will fall in love with fall-inspired Roasted Acorn Squash Quinoa Salad with zippy dressing! Sunday or whenever! A delicious Chicken and Pasta for dinner. A salad is must in every meal plan. Don't forget to eat greens! 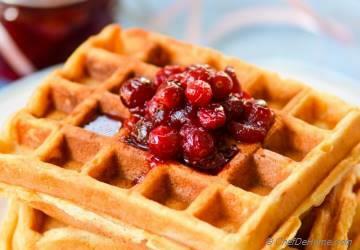 No sweet but a special spiced Breakfast for weekend!